Eligibility: All photographers of all age and skill levels are welcome to submit. All submitted photos must have been taken by the photographer making the entry. If you are a parent or legal guardian submitting for a minor, please make it clear who you are actually submitting for. All submissions must be made by digital files through upload on DarkroomGallery.com or sent via email to submissions@DarkroomGallery.com along with an application form. There is a $5.00 surcharge for email entries. Images should be as large as possible but no larger than 1280 pixels on the longest side, type jpg – set to the highest quality. The color space should be set to sRGB. DPI is only relevant for output purposes and does not effect the stored size of the image. It can be set to any number, but if you must specify something go with 72 dpi. Up to four images may be submitted for a non-refundable fee of $24 US for on-line submission and $29 for email submission. Additional images may be submitted for an additional $5 US per image. Keimig is a frequent speaker and workshop instructor for photographic events around the country. He has presented and taught at the Photo Plus Expo in New York, and was a featured speaker and workshop instructor at Estudio Brasil in Sa Paulo, Brazil. He has lectured and taught for the Scottish Photographers Association in Glasgow, The School of Visual Arts in NY, B&H Event Space, and The New England Camera Club Council among others. Once submission for an exhibit closes, all entries are submitted to the Juror for that exhibit anonymously. The juror will not know the name of the photographer or if two photos were taken by the same photographer. 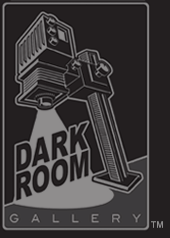 Jurors are charged with selecting about 45 entries for display in the Darkroom Gallery, in Essex Jct. Vermont. Jurors have sole discretion as to their selections. Please do not attempt to contact jurors to influence their choices. Doing so will disqualify your entry. Our goal is to announce the selected entries for each exhibit within seven days of the submission close date. This will be by email and on the Darkroom Gallery web site. This entry was posted in Apply and tagged Apply, Call for Entry, Darkroom Gallery, Nocturne, Photography, TWU, TWU Photo Nexus. Bookmark the permalink.